As a homeowner, you take great pride and care in making your house look its best. 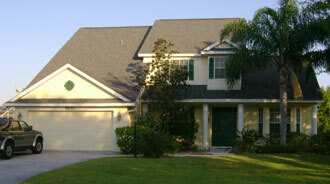 At Gulfside Painting it is our job to make your home look its best. And that is exactly what we do. We have over 30 years of house painting experience, and a lot of beautiful homes to show for it (click here for photo gallery). When it comes to exterior painting, we are the house painters of choice for your friends and neighbors in Sarasota and Bradenton, Florida. Gulfside Painting has specialized in house painting since its inception, and our house painters have provided excellent exterior painting results for thousands of our customers in Sarasota, Bradenton, Lakewood Ranch, University Park, Longboat Key, Siesta Key, Venice and Osprey. Our customers love what we do because we provide expert quality and service every step of the way. (click here for customer testimonials). At Gulfside Painting, our house painters have many years of experience and are trained in the latest techniques that save time, money and produce amazing results. There is no home that is too large or too small for Gulfside. When it comes to exterior painting, we are the pros and we do it all. Our house painters work closely with you to achieve the results you want, and then exceed your expectations with their efficiency and professionalism. And, we will accommodate any special needs or requirements you have regarding your house painting job. There are many things to consider when you begin to plan a house painting project, particularly exterior painting. You want to be sure that you choose the right paint colors and materials quality for the different areas and surfaces of your house, including trim, windows and doors. Let our house painting experts help you choose the right products for each aspect of the job that works within your budget and will provide the most beautiful and long-lasting results.